Before going to discuss data types in python programming language, we need to know about few points. In python programming language, we are not going to use any built-in data types to declare a variable like in C, C++. In python, mostly we use built-in data types for type casting the variables. All data values are treated as object for related classes in python programming Language and every object as an identity, value and type. 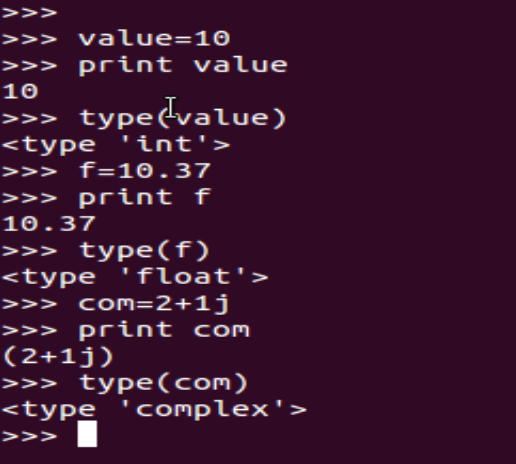 To determine a variable’s type in Python, you can use the type () function. The value of some objects can be changed. Objects whose value can be changed are called mutable. 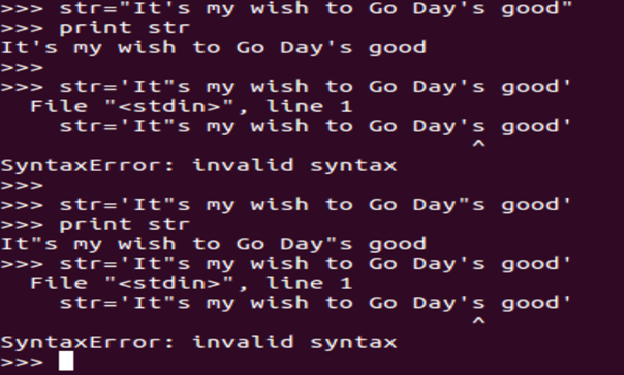 We can write strings in python in following three ways. If character holds in a single quotes, then we can call it as string. If character holds in a double quotes, then we can call it as string. If character holds in triple quotes, then we can call it as string. But, this type of strings we can use for doc and for multi line comments. Combination of double and single quotes will be accepted, but it should not start with double quote and end with single quote vice versa. For complete and advanced string concepts, we will discuss in upcoming tutorial. A set is an unordered collection of unique elements. Basic uses of sets is to deal with set theory. It supports mathematical operations like union, intersection, difference, and symmetric difference or eliminating duplicate entries.